Is it Better to Run Late at Night versus Early in the Morning? Your daily running routine is a very personal thing, including the question of what time of day is optimal. Once you start talking about morning runs, midnight runs, and anything in between... you can easily start getting into heated debates about which is best. In an attempt to get to the bottom of this, 30 runners were recently asked about their perfect time to run, Not surprisingly, every one swore that they had the ideal answer. Perhaps you fall into this category. Or, maybe you are envious of the ones that do. In any case, the early morning runners are the epitome of the person we picture when we think about productive members of the human race. Think about it: it's hard not to admire someone who is braving the elements, running while the rest of are sleeping or making the morning coffee. This can be a great way to start your day, but you might also not be at your best. The problem with running first thing in the morning is that your body is not fully ready to handle anything too physical. Your lower body temperature, lack of nutrition, and stiff muscles can all inhibit your run. Taking the time to eat a small meal and warming up first can have a huge impact. So why should you run in the morning? Getting out there first thing is one of the biggest psychological barriers that you can overcome, even if you don’t get the maximum amount of physical exercise. Forcing yourself to run before you begin your day kick-starts your metabolism, focuses your mind before work, and makes sure that you don’t waste any time in the morning before other things have a chance to demand your attention. Nothing puts your day into perspective quite like running through your hometown as the sun is rising! A late night run can give you a chance to enjoy your exercise without having to worry if you have time to get things done. Your day is done and your miles can seem like a much more relaxing experience than if you try to hurry through a morning run. You are also warmed up properly, have had plenty of nutrients put into your body, and are in a perfect physical condition for a run. A night run might also mean that you have the opportunity to put it off and keep procrastinating. Finding the motivation to run late at night can be hard to do after spending all day working and dealing with your day to day life. In addition, wearing a headlamp or something similar will give you even more visibility for a night run. We've actually developed our own more comfortable version that goes around your chest, instead of your head. 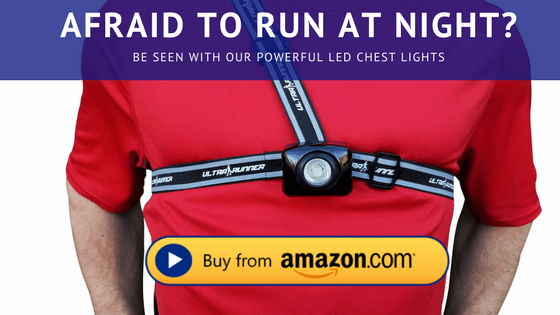 Click here to check out the Ultra Runner Chest Light. Which is best? There's no one right answer that applies to everyone. The answer for you lies in your daily schedule and your own physical and mental strengths. 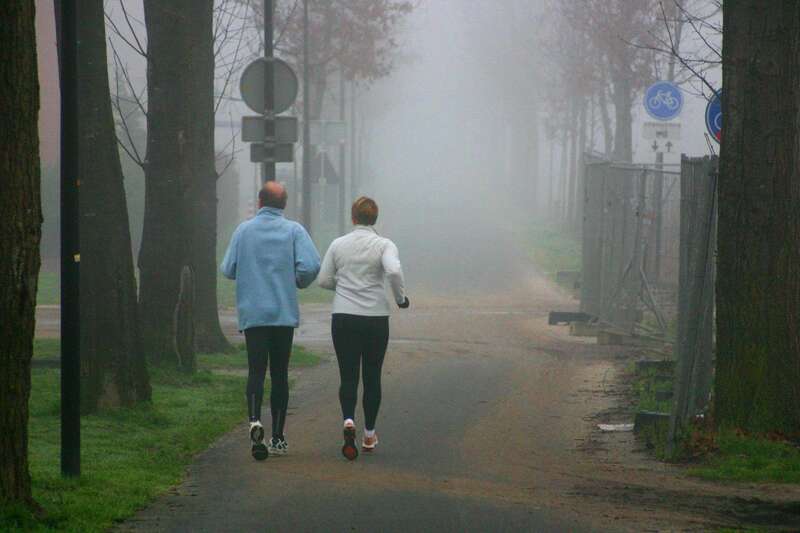 If you prefer to clear things off your schedule first thing, try a morning run. If, on the other hand, you believe that you will be able to convince yourself to run when you day is done, stick with a late night jog. In the end, you should make the decision based on your circumstances. Each time has benefits, but really you should just decide when you are able to run and give it your all. Whether you would rather run in the morning or at night, as long as you run, and run like you mean it, you will end up a healthier person.